← 6 Random But Useful Tips! 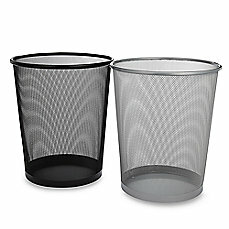 Something that I suggest to clients is to have small to medium size trash cans/bins in every major room. Really you ask. YES! We make a lot of trash. We sometimes don’t throw anything away because there isn’t a can nearby, so it stays on the table or desk or counter top. Some of the bins can be designated for recycling too. Those magazines you are done reading, the newspaper (my parents still have one delivered everyday), the opened junk mail, having a place within reach can keep the counter tops, couches, trays, and tables cleared off and not a catch all. Its all about making things easy, which will increase motivation and create routine. 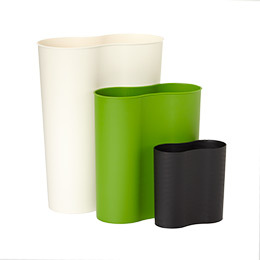 trashcans by Bed Bath and Beyond and The Container Store.